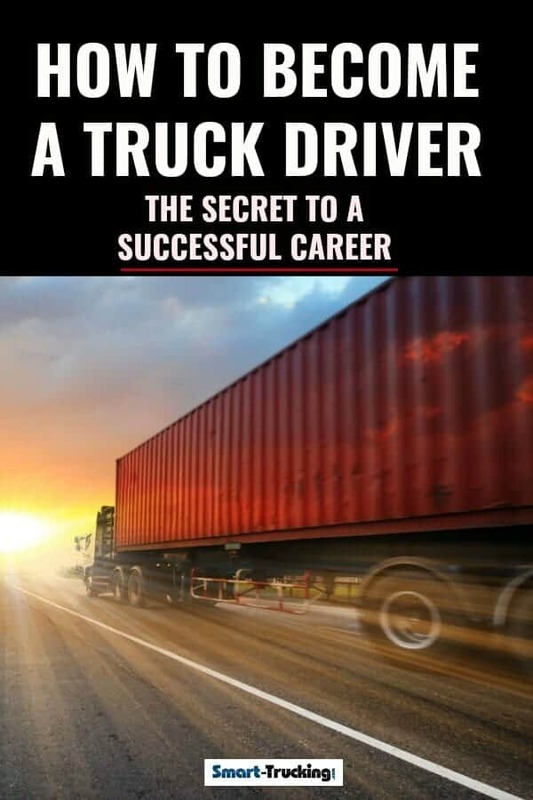 If you wish to become a truck driver, there are some things you need to know in order to start your career out on the right foot and to get the truck driving career you want. In short, a trucking career can be a lucrative career, if you make carefully thought out decisions. Professional driver pay ranges depending on the type of truck driving job you work at as where you are working. Typically, some states pay more on average than others. There are plenty of truck driving jobs all over the U.S.
I’m sure you’ve heard of the truck driver shortage? 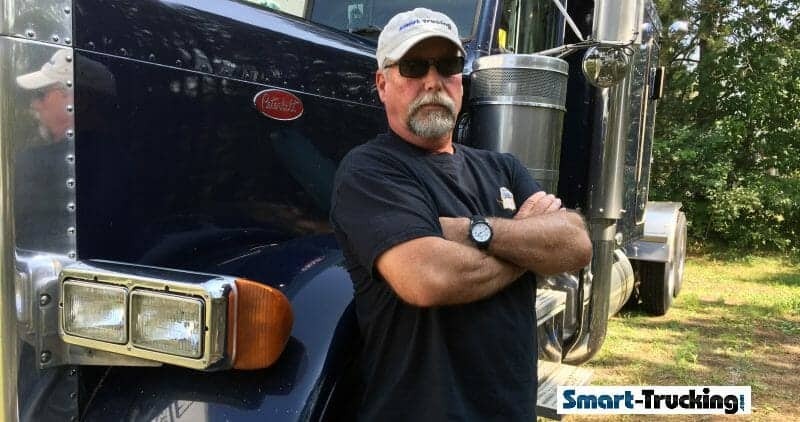 You should not have any issues getting a truck driving job, if you get good training, practice your skills and look carefully for the right driving job with a reputable company. Other than having a driver’s license for a car, the training school you choose will provide the means to complete all of the above. I cannot stress enough the importance of choosing the right CDL school. In order to get your truck driving career started off on the right foot, it’s critical that you choose the right type of CDL training that suits YOU. You can be a truck driver in as little as a few weeks time or the training program can take up to a year, depending on the training program you choose. But, you may not have the time to spare so getting your CDL asap may be in order. Maybe you don’t have the extra money kicking around to invest in costly tuition for a training school, nor do you qualify for any financial aid. Maybe the location of the school is an important factor for you for personal reasons. Or perhaps you need an income sooner rather than later and you need that CDL in your hands like NOW. It’s critical to pick the right training program to suit YOU and your needs. How much time you want to spend in a training school. How much money you have to spend on training. Where you wish to attend training. THEN, you’ll need to choose one of the types of training available. Look at these 3 basic training types and decide which will suit YOUR needs. There are 3 basic ways to get your truck driving training. It really DEPENDS on you as an individual, which of the 3 options will work best for you. There are tuition costs which are different from school to school. Count on at least a few thousand dollars. Usually the tuition fees are paid up front for this type of professional driver training. If you have the funds to pay for your truck driver training, then this type of program may be attractive to you. Programs are typically anywhere from a few weeks to a few months, again depending on the individual schools. There are programs available which provide financial support for school costs. There are a multitude of private CDL driver training schools to choose from in most areas of the US. A student can enrol in a program at almost any time, to complete a program, so the waiting time to get into a program should be minimal. You should be able to have a CDL in your hand in a relatively short period of time, if this is important to you. Most reputable schools have a driving job placement program with truck companies, where the trucking company will offer you a job upon completion of your CDL at the end of the training session. Note: Not all schools do this. Also sometimes the carriers the school is affiliated with are not reputable companies, where you would wish to work. Tip: Look for a school that is accredited for CDL training to be sure they are offering a credible, quality course. A company sponsored CDL training school program is a popular choice by drivers who do not wish to shell out money for their training. It is for this reason this type of truck driver training is particularly attractive to those wishing to become a truck driver. There will be some costs for the student in this type of training, but the costs will be very minimal. Theses programs are offered by large trucking companies which will train students to obtain their CDL in exchange for a commitment to remain employed as a truck driver with the company for a period of time, usually about a one year period. If the contract is broken by the trainee, they will be obligated to pay back the company for the training costs. Wages are typically low during the first year of employment. So the free CDL training or low costs to the student, are more than made up for by the trucking company in that first year of employment. Training for this type of program is offered frequently and is ongoing. Programs are typically short, a few weeks or so in length. A student can obtain a CDL in a relatively short period of time, but then is under contractual agreement for the next year or so with that company. The greatest advantage to company training is the fact that the trucking company will give the student a truck driving job at the end of the CDL training. This is an important factor as many carriers will not hire a truck driver without any job experience. These programs are offered in many areas of the U.S. Many of the training centers offer special accommodations for out of town students, but keep in mind, as a student, you may be responsible for the cost of your transportation to and from the program (depending on the program). There are tuition fees for these programs, however Community college CDL training programs are another option where various funding programs are available to prospective students. These programs can also include some educational upgrading as well which can be very beneficial. Programs typically start only a few times a year, so it may be awhile before the next program commences. Often the training is scheduled at a much slower pace than most private CDL schools. This can be an advantage to those students who are only able to attend on a part time basis or in the evening, as they are already holding a full time job. It could be awhile before a student actually graduates with their CDL. If you aren’t in a big rush to get your CDL, a community college program can be a good choice. Contact the school or program of your choice. Arrange for a tour of the school, to see the facilities and get a feel for the integrity of the school. Take home any information they supply you with and review it carefully before choosing a school. The future of your driving career depends heavily on making a good choice of schools. Compare your findings on the various schools and programs, to pick the best CDL school to suit your needs. Your future professional truck driving career depends on it.